Boquete is situated at the foothills of Baru Volcano, the country’s highest peak. This charming mountain town is surrounded by untouched tropical cloud forests and is known for its coffee and various mountain activities. Cala Mia has an office in Plaza Los Senderos in downtown Boquete where we run local tours from there. Learn the coffee culture in an exciting way and understand the processes of this legendary aromatic drink. •	Learning about the history, origins, qualities, and secrets of coffee handling. Learning how coffee production occurs all the way from ripe coffee cherry to the roasted bean. Learning at the tasting table where the long, intense, and complex coffee process ends. After your first Panama coffee tour, your morning cup of coffee will take on a whole new meaning! This amazing hike goes into the remote virgin cloud forests surrounding the perimeter of Volcan Baru National Park. You hike the Pipeline Trail or The Lost Waterfalls Trail. The Pipeline Trail is the best maintained, with old growth trees and the best chance for spotting rare species such as the Resplendent Quetzal, sloths, and monkeys. With more than 220 bird species native to the area, including the elusive Resplendent Quetzal, there’s birding opportunities all around. The Lost Waterfalls Trail parallels Quebrada La Mina, which is a gorgeous creek that meanders through the ridges and valleys above Boquete. See spectacular waterfalls that eventually spill into Rio Caldera. Panama is a country renowned throughout the world for its rivers of rare and remote beauty. The top rated operator is only 1 hour from the Resort. 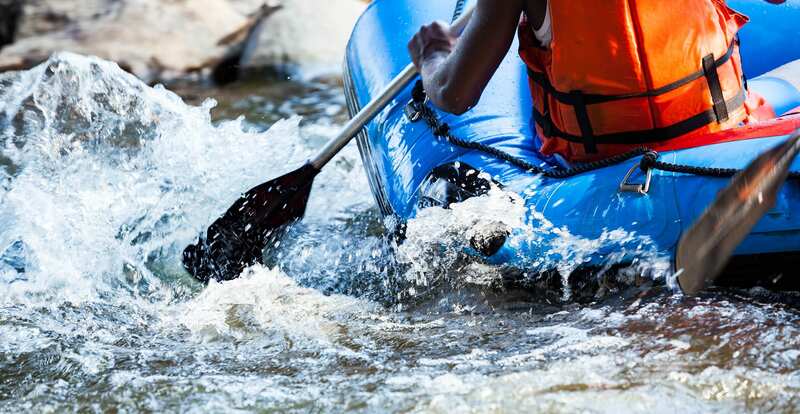 The rivers vary in difficulty, providing white water adventures for rafters of every experience level, from beginner to most advanced. The tour provides everything, including meals, equipment, transportation, guides, and safety personnel. We guarantee an unforgettable day trip. Glide through the canopy of the cloud forests high above pristine rivers and waterfalls. The 4.5 kilometers zipline is divided into 12 different zip line stages. The river tour will take you to Cangilones River where you can do some solo climbing, jumping, or practice your balance on a slackline. After lunch you head to a hidden river with a beautiful waterfall where you can swing on a rope or practice cliff jumps from 25’ or 60’. The tour finishes at a Hot spring, where you will relax after all the adventures.